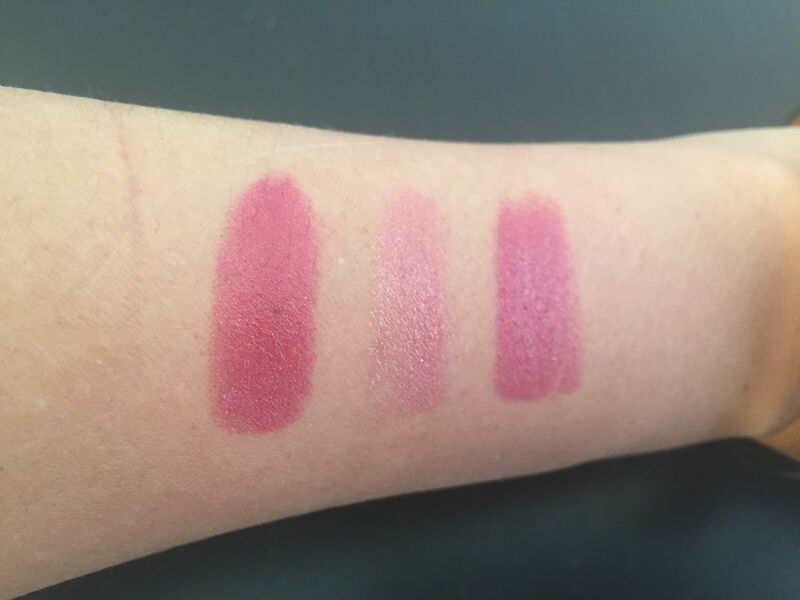 Lipsticks in Dior’s Diorific line are stunning this year. Gold is in right now (and has been for a while), and a lot of fashion gurus employ gold motive in one way or another. 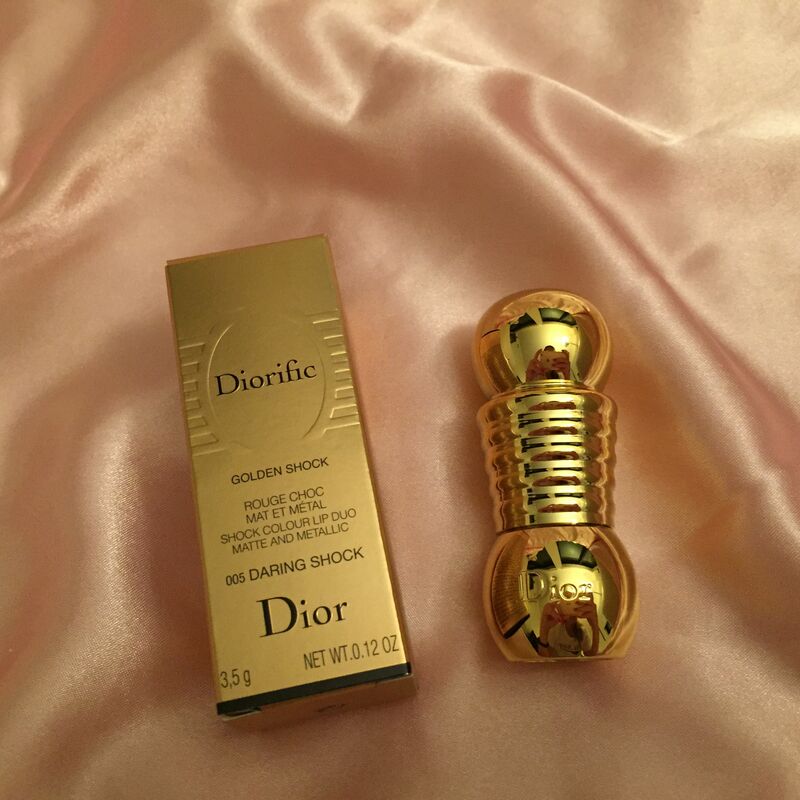 However, not many were able to introduce the richness and beauty of gold with such chic and taste as Dior. 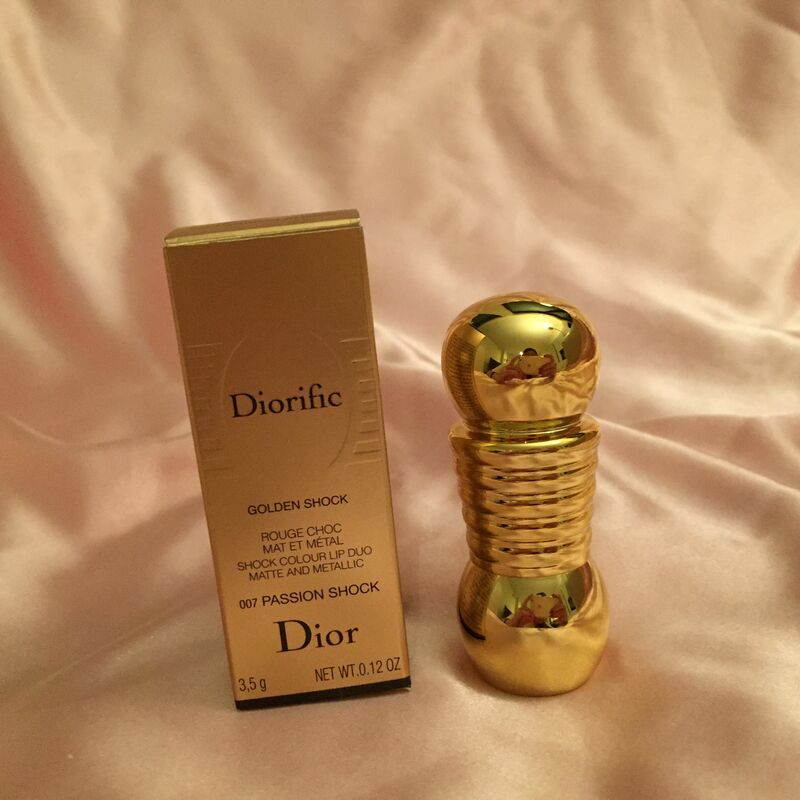 The Diorific line this year includes a variety of products: from lipsticks to nail polish. 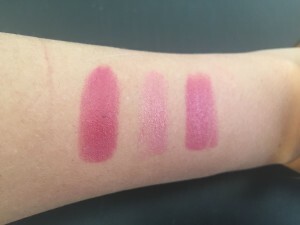 Today I will only talk about lipsticks. I am in total love with them. 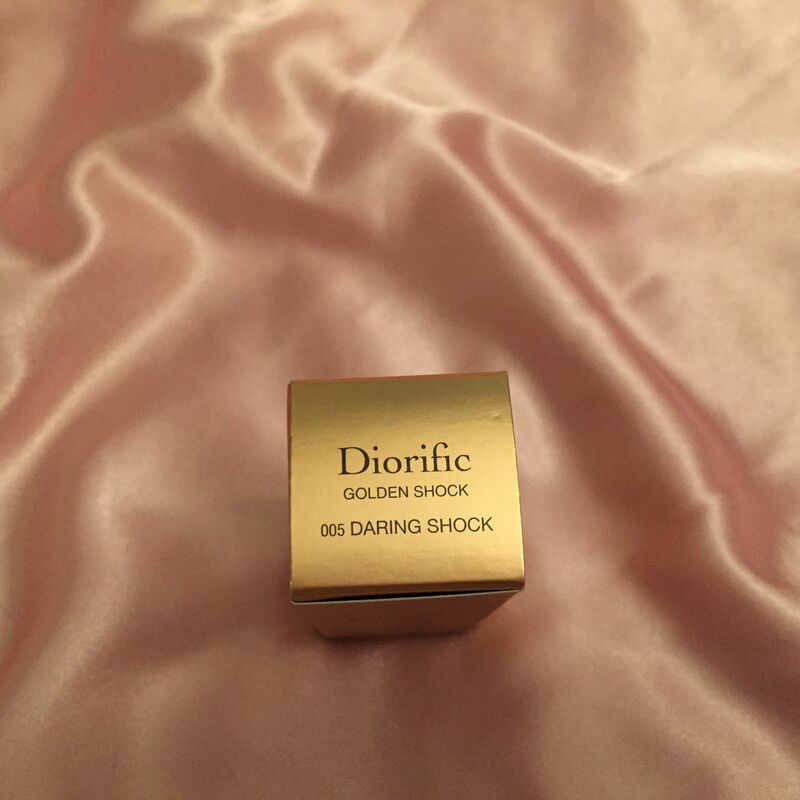 I haven’t bought any other Diorific products because the reviews on some of them were not positive (golden powder) and moreover, I wasn’t interested in the highlights of the collection: nail polishes and powder with shimmer. I really liked the limited edition eye shadows but by the time I wanted to buy them they were gone. 🙁 Oh well. 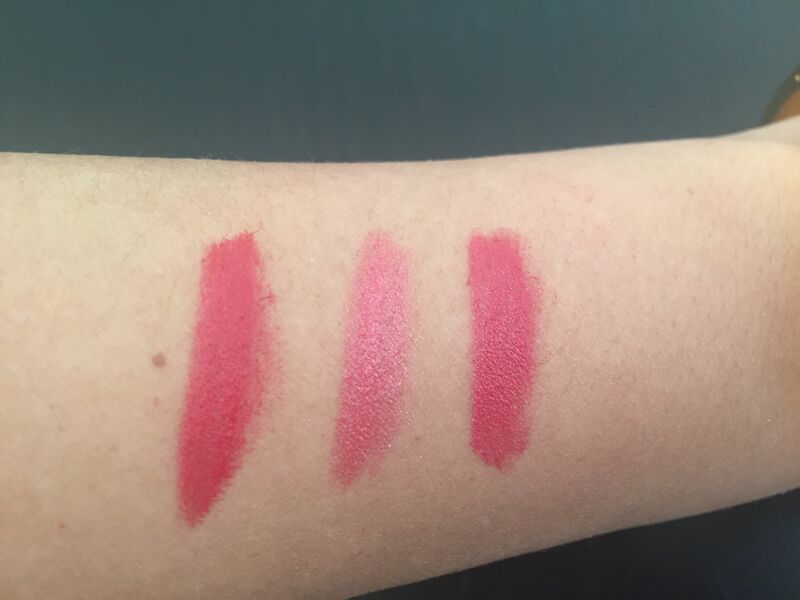 There are two types of lipsticks in the Diorific line 2014. The first one is called simply ‘Diorific’ and the second one is ‘Diorific – Golden Shock.’ ‘Diorific’ is an array of rich festive shades with long-lasting matte finish. 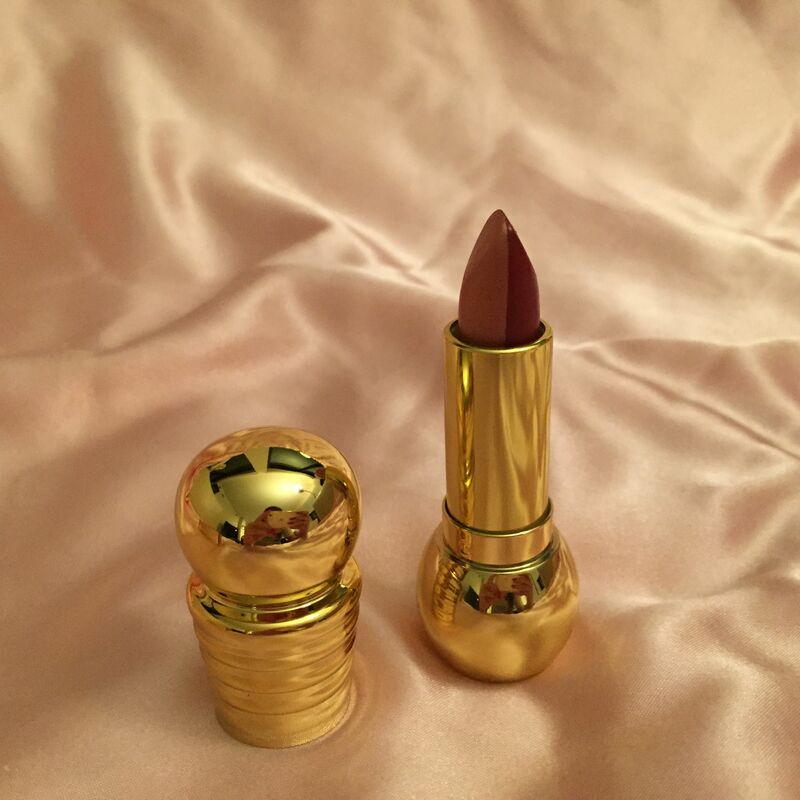 ‘Diorific – Golden Shock’ is a set of 6 two-tone lipsticks. One tone is matte finish, and another one is the same shade with gold shimmer added. 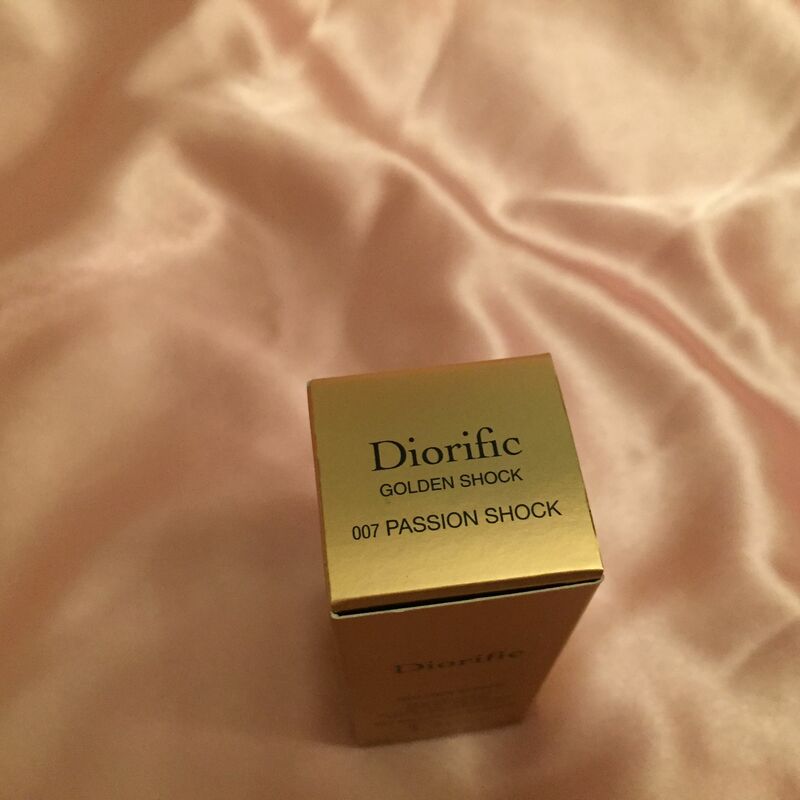 I haven’t bought any Diorifics yet although I am planning to, but I have two Golden Shock lipsticks. 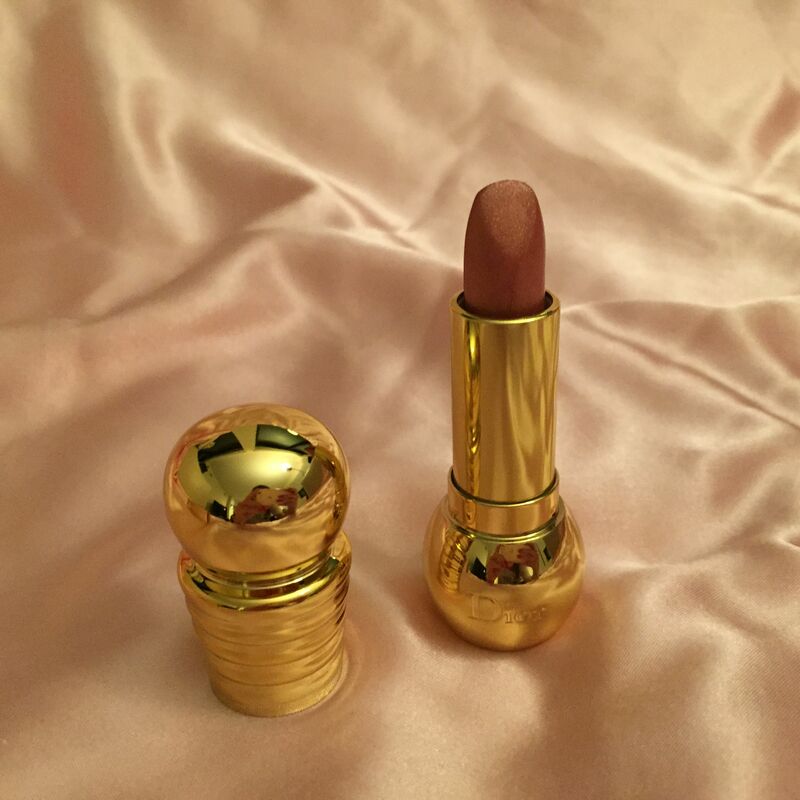 I got my Golden Shock lipsticks in two colors: 005 Daring Shock and 007 Passion Shock. Each cost me $38, which is a bit more expensive than usual Dior lipsticks but it was totally worth it. Each Golden Shock comes in a ravishing gold case. The case feels solid and luxurious. 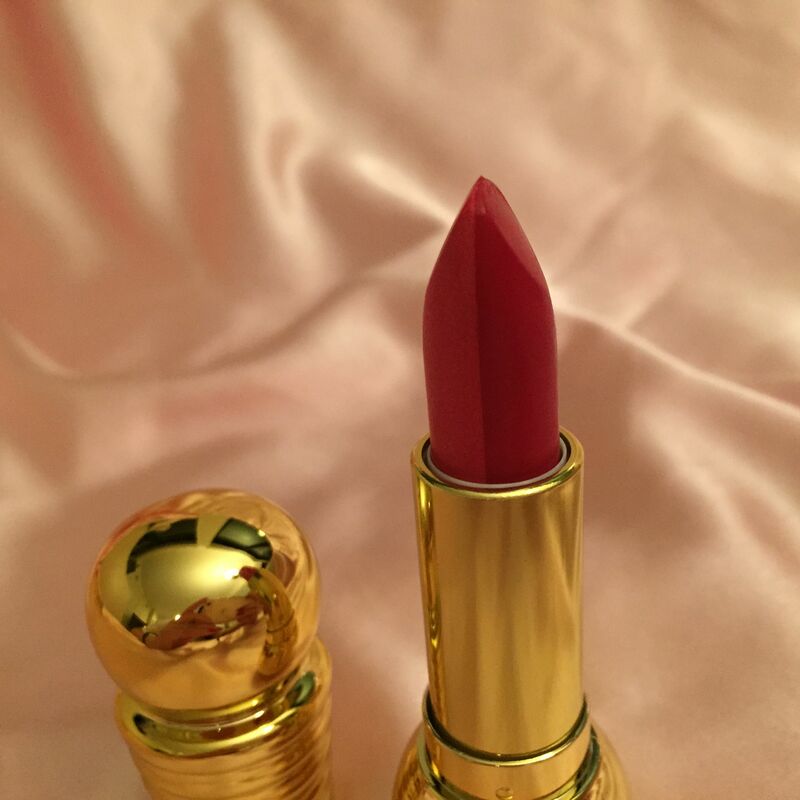 The shape of the case is quite unusual so it really stands out in my lipsticks collection. 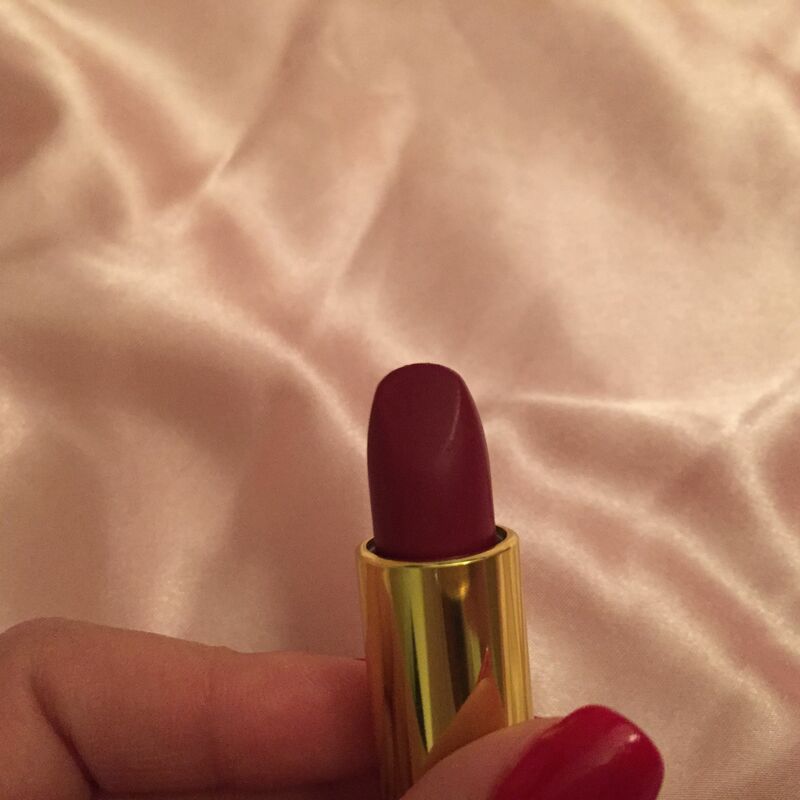 005 Daring Shock is a gorgeously rich dark rose color. 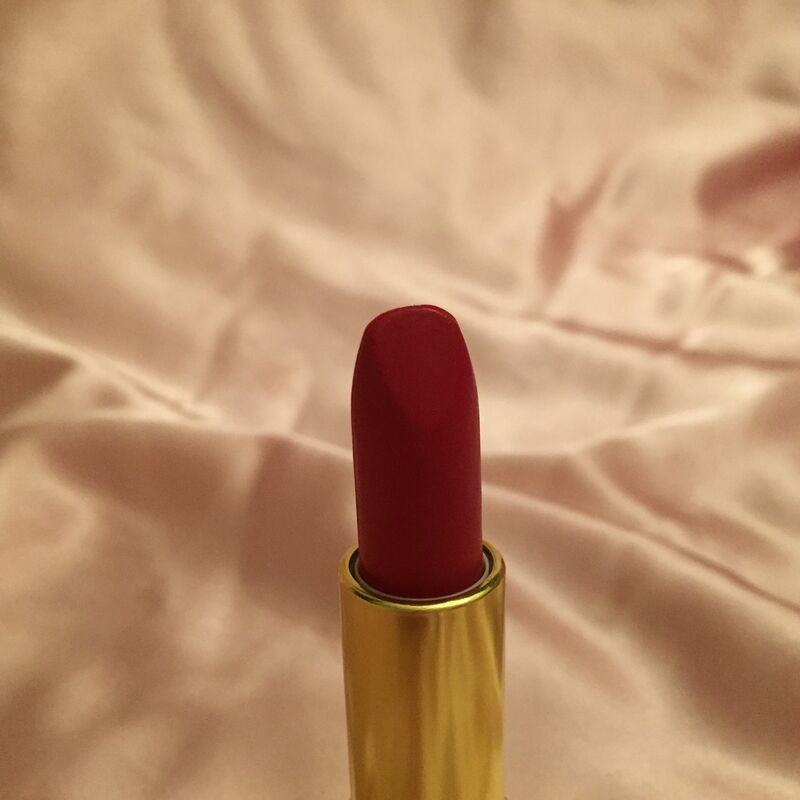 The matte side of the lipstick gives you the pigmentation and the shimmer side provides subtle glistening. You can combine two tones or can choose to use only one – it will look amazing either way. 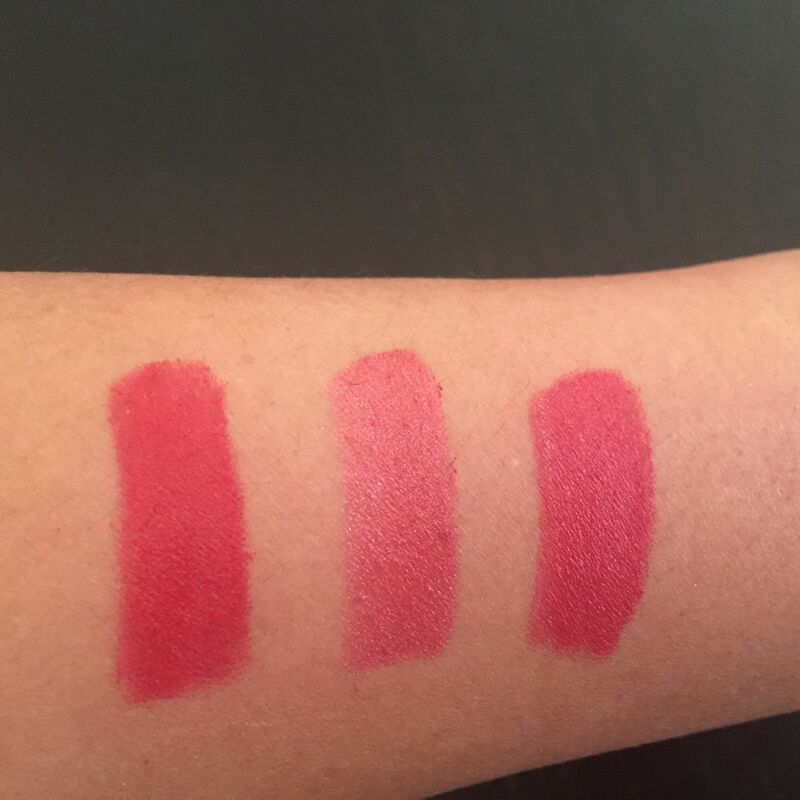 I mostly use the matte side alone – I feel that the richness of color is enough and I don’t need to add any shimmer. However, it’s purely a question of preference. 005 Daring Shock really flatters my medium skin tone, and I believe it will flatter as much most other complexions, except maybe really fair ones. One important thing to remember is that when you look at the lipstick the color looks much darker that on your lips. I bought both Golden Shocks online since they were not unavailable in-store and wasn’t sure until the last moment if the colors were right. I hope my pictures will help you ladies. 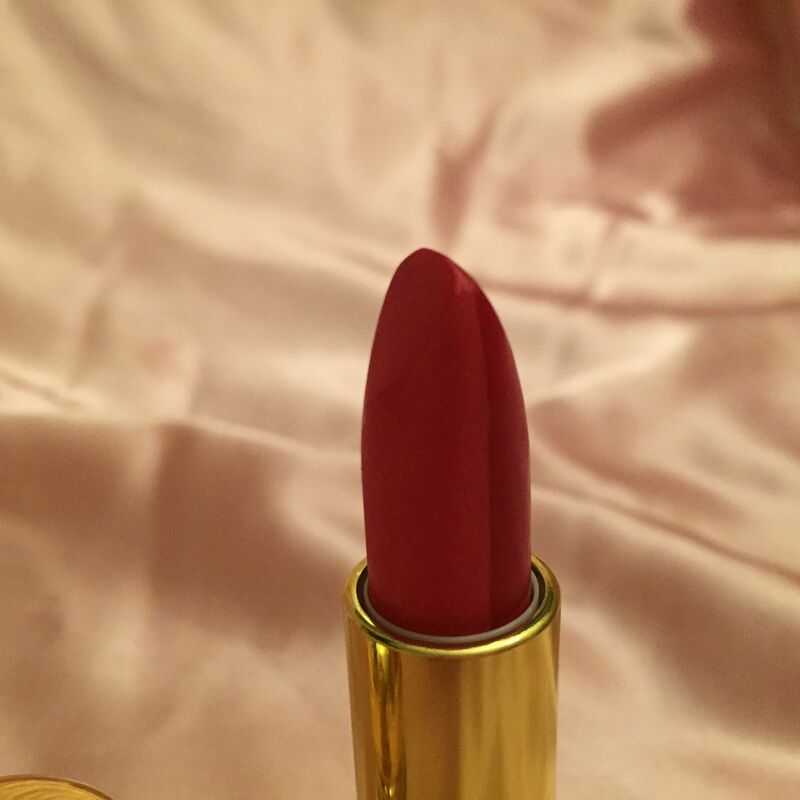 007 Passion Shock is a nice, not too intense bright red with pink and coral undertones. I like how it looks on me – it’s luminous and vivid but at the same time not too aggressive. 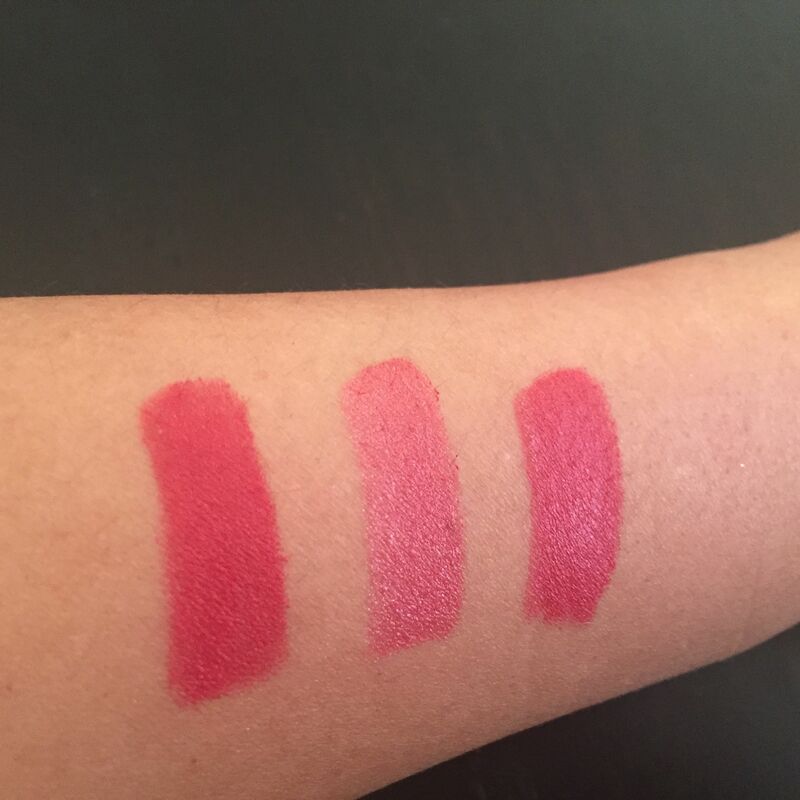 With this lipstick, I love both tones equally and find that together they work the best – shimmer sort of balances out the brightness of the matte side. What I especially like about Passion Shock is that it is perfect for New Year Eve as much as it is for summer vacation. 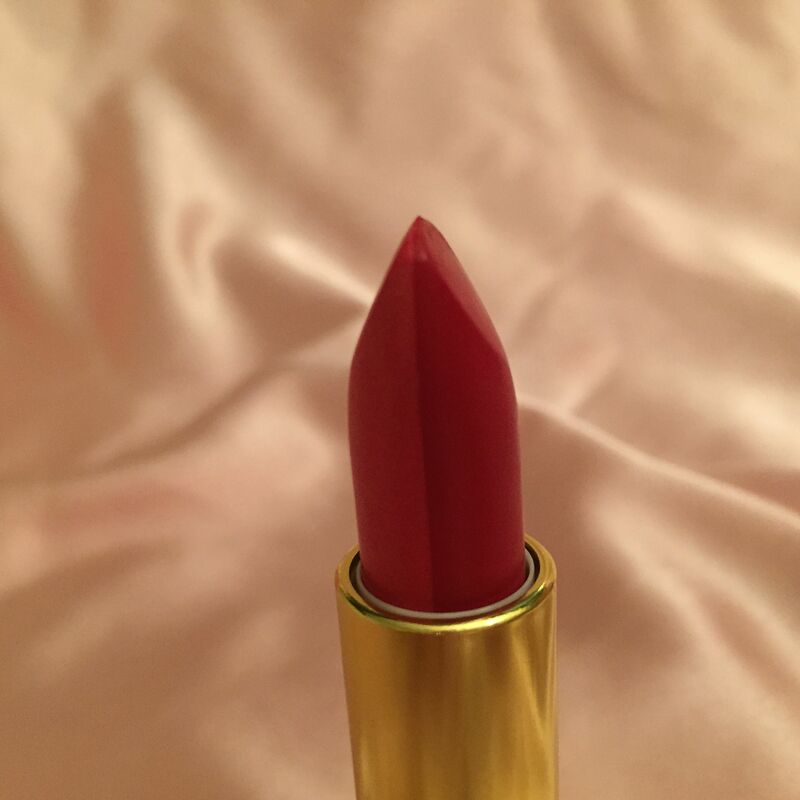 For me, this is an ideal shade of red – I love coral undertone so I couldn’t be happier with it. 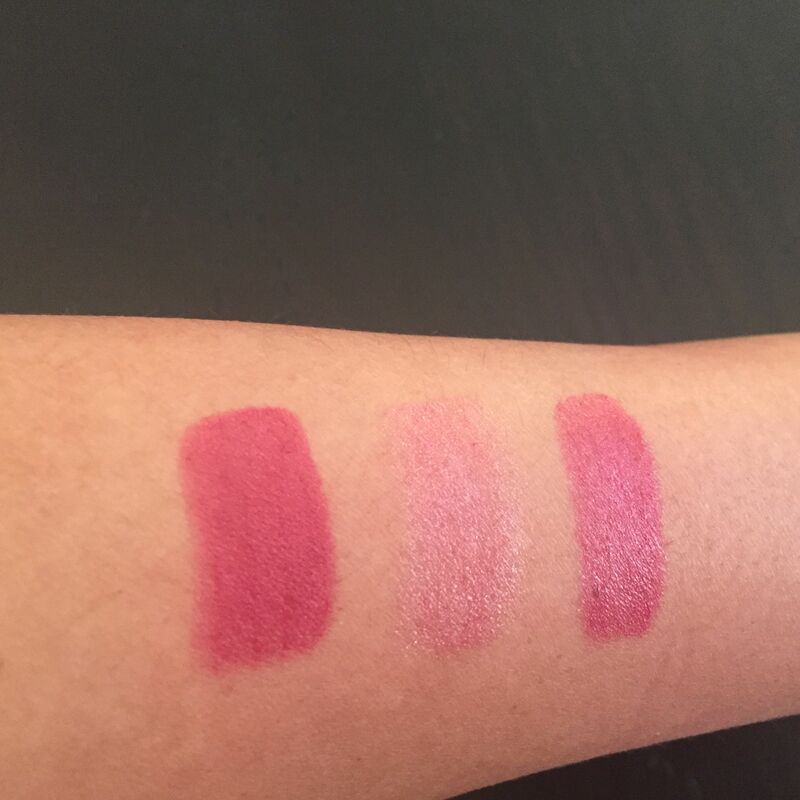 Both lipsticks are very creamy and moisturizing. 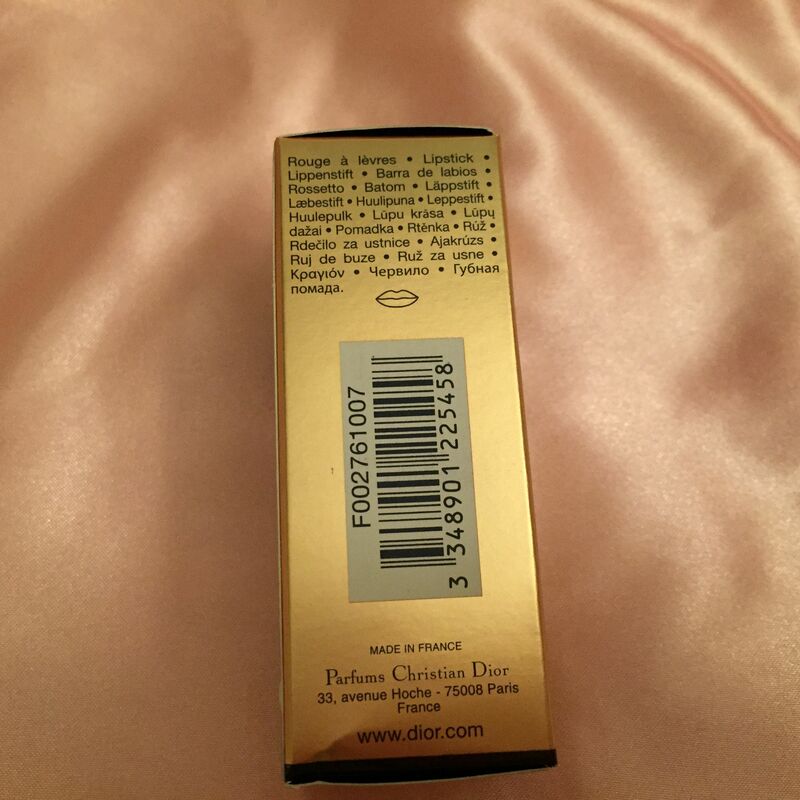 They also have classic Dior lipstick flowery taste and smell. The staying power is not that impressive – I do have to refresh the color every 40 minutes or so (especially if I am eating) but the color fades evenly and never goes over the lip line. 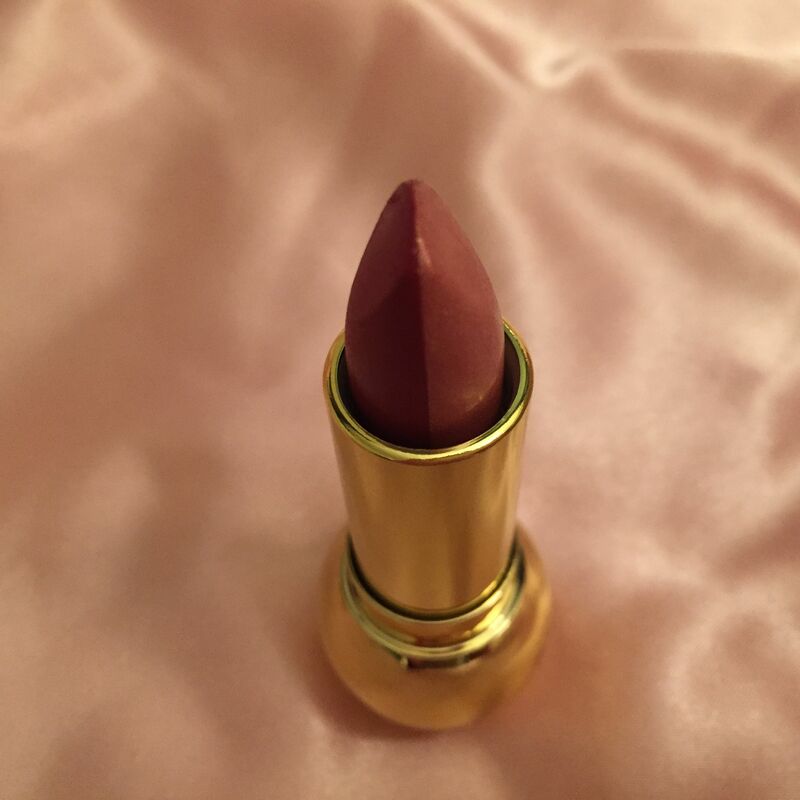 For me it is not such a big deal in this case: I love everything else in this lipstick so much that I would agree to re-apply it every 15 minutes if I had to. Regarding other colors in the Golden Shock line: I tried 008 Mysterious Shock at the store – it was a bit dark for me. 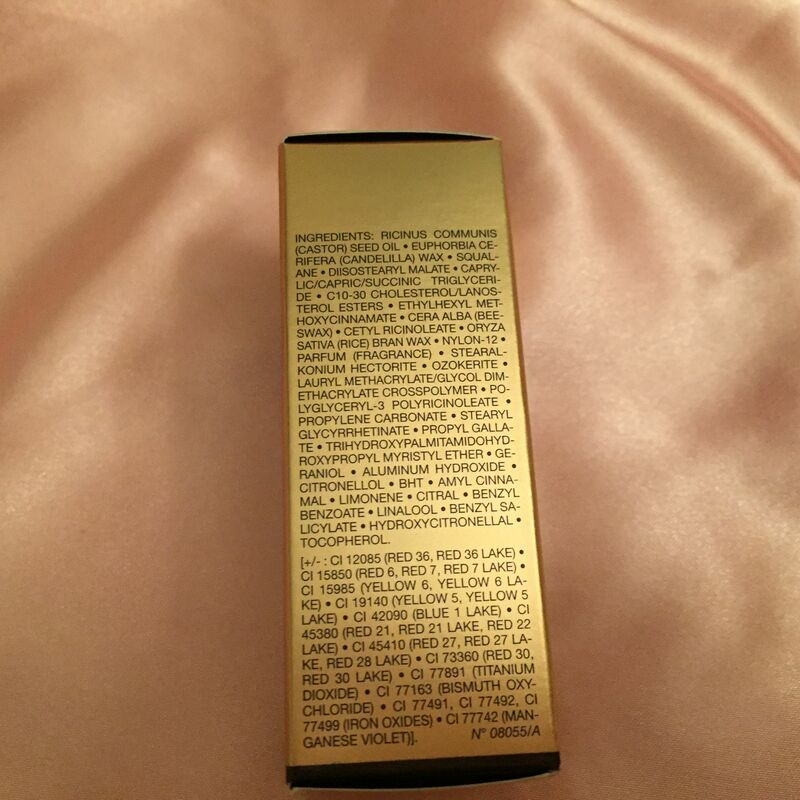 I haven’t seen 006 Ardent Shock anywhere besides the Nordstrom website but on the picture it looked a bit orangey so I opt out. I have been looking obsessively for the remaining two colors: Delicate Shock and Enchanting Shock but no luck – sold out everywhere. Both are light and subtle shades with perfect amount of shimmer. I didn’t find it online, in-stores and even in duty frees.